Maybe your hurting today. Maybe you have lost hope, and it is difficult to cope. Maybe poverty is preventing you from doing all that you would like to, but yet you see, God almighty is providing, and you have food, and a roof over your head. Maybe friends, have abandoned you. Maybe you are ill. Sometimes, we do struggle, and we can be lonely, sad, and broken hearted, for different reasons. But I want to encourage you today. I want you to know there is a God, and He loves you. And you know, I cannot say this for everyone. But He has taught me things through my lack, through my sadness, my own personal sorrows. My own illnesses. And that is to seek Him, and I do with all my heart soul, and mind. I almost feel like He has tested me. As He has allowed certain things in my life. For I see, and I have to give my husband credit for this. But sometimes, we are trying, and trying to do good, and we are looking at it for the wrong reasons. And when we stop, and say, I better be careful, and I better not let this fester in me, and take root, because it is so negative, and destructive, we can get right with Christ. For me you see, lately, it has been a battle. It has been a challenge. It has been a struggle. Many Christians, brothers and sisters, have actually abandoned me, or fought me. Some have unfriended me, some that I loved dearly, but they did not see me with love. They do not see me as their own sister in Christ. Yet I am. Many have stopped listening to me. Many have actually challenged me as well. They do not see it the way I do…. Well this is my thought through it all, and it is an early Christmas present. That God has given me, because it gives me hope, in who I am in Christ, and what I do. No matter in what state I am, I have learned to be content. And when I am not, I know how to take it to the obedience of Christ. To get back on track. But I am not here for the righteous, or those who do not believe. I am here to bring truth to the hurting, the broken, and yes the sinner. I am here to feed His lambs. I am doing it, for those Christ has sent me to….To give them hope. And those who do not know truth. To maybe even warn them. To seek God, to be humble, to repent. Because sin will separate us from God. Whether you are a Christian or not. The wages of sin is death. I just sense, if we stop, and realize what we are doing, and can let it go, and direct it to God, we can have hope again. We can make a difference. After all, Christ said, he was not here for the righteous, but for the sinner. And we all sin, yes, and come short of the glory of God. But I realize my messages are not for everyone, but God will guide. And I hope it is for the hurting today. Just release it to God, give Him your cares, and worries, and don’t let it fester in your heart, to take away your joy, or hope. 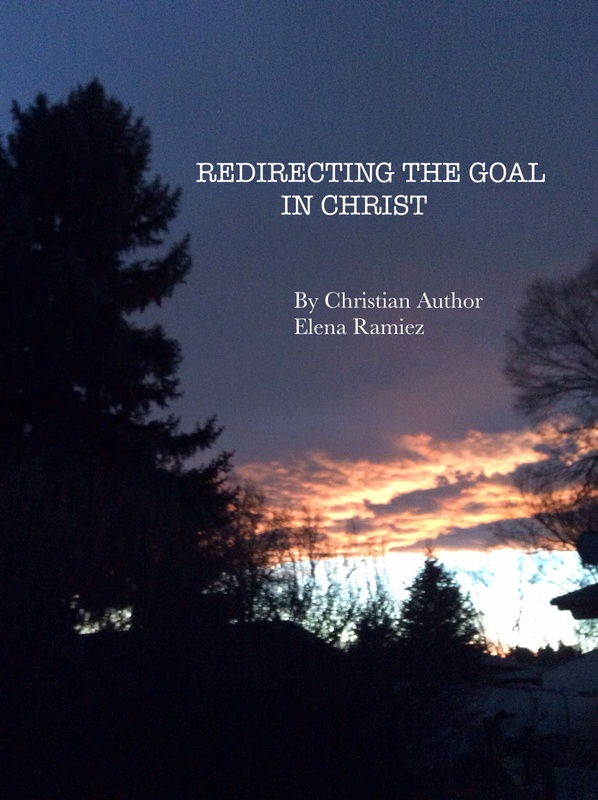 Redirect what you are feeling, and doing, and let Christ give you the answer. The answer may just be in the way you are looking at it. There is a God, and He is mighty in power, and can make a difference. This is the whole beautiful spirit and message of Christmas. That Christ came for each one of us, to save us. Because He loves us. Merry Christmas. I CAME NOT TO CALL THE RIGHTEOUS, BUT SINNERS TO REPENTANCE. LUKE 5:32. My thoughts, on this are NO. But there always has to be a balance. What are the motives? What is at stake? Will my participation, purposely serve to hurt someone? Or bless someone? Can I enter this, to bring glory to God? Or to myself? (It scares me, if it was all about me.) How can I use my gifts, and callings, in this? To each their own…..This always has to be considered. And let me explain, when I say this; “To each Their Own.” But, God has given us each gifts, and callings that individually belong to that person. No one can do, what you do in Christ, like you. These gifts, and callings, have been refined, by the process, you go through in life. By prayer, by seeking God. How can one have compassion, say for example, as a gift, unless they have suffered, and understand? With Christ, within our hearts, we understand “compassion” because Christ understood. Because we may have suffered, some hardship, to know what compassion is. But more then anything, Christ suffered for us. Never, ever forget, how much Christ suffered for you and me. I always remind myself of that, to keep my Salvation precious to me. I never, want to take that for granted. Christ’s sacrifice, was given in love. So anything, we do will come with some pain, and yes, some suffering. But we must have the greatest thought, of love, and who He is, when we do what we do, for Christ. I have heard others say, to myself, and yes, other Christian leaders, “I would love to have your anointing.” But, if they only knew…A question to ask, do you want to go through, what they went through, for that anointing? But, I do know this, that anything, I have received, first and foremost, this, goes to the glory of God, and second, this anointing, has come with a price…..
How can anyone, receive that anointing, without, totally, being submissive to God? Without, wanting to serve Him, and others? Without, dying to oneself, and seeing the need, to give, by what one has gone through, or suffered through? It comes with a cost. So, don’t ever be jealous, or competitive toward one Christian or another, because you do not know what they have gone through, to get, where they are, in anything. So many of us, have gifts, talents, and abilities, but they are not used for the glory of God. To be honest, what a waste of time, and energy, unless we apply them to the good, of others, to God, and yes, even to ourselves. To compete, to be prompted, by jealousy, is not of God. We must always, be aware of the characteristics, and the “spirit” of the devil himself, in these matters. Ego, is not of God, another word for that is pride. Arrogance, is not confidence, it is a bully, in sheeps clothing, and I steer away from people like that. I have not been competitive in life. Some, could say, that, its obvious, and use it against me. Because, I have not reached goals, and some dreams yet. But, nonetheless, I know, daily, I change, more into who I should be in Christ. Sometimes, it takes time, testing from God, to reach goals. But, to want to compete with others, to strive against, someone, is not in my DNA of Christ. In fact, the truth of the matter, is there are many outstanding, gifted, pastors, leaders, in Christ, but I do not pay them, that much attention. I have, to be honest, and this may just be a small part of it, but I have been hurt by the church, and yes, even some prominent, leaders in ministry. Where, I have been rejected, and actually, denied, communication. Why, because I asked for help? I don’t know. Or maybe my gifts, and callings challenged them? I do not know. I have made mistakes also with them, where I may have been perceived, as trying to “piggy back” from their ministries, so I am very careful, to not offer any support, or yes, even recommendations to anyone. Concerning other ministries. Unless, I feel led by God. First, and foremost for me, Christ deserves that, recognition. The Holy Spirit, is my teacher. And my growth, is not due to anyone, but God, and His Holy Spirit, via the Bible. So how does that apply to you? I would totally ask God. Again, ask yourself, why you want to compete? Ministries, should not be in the business, to compete, to begin with, because, we do not wrestle, with flesh and blood, but with principalities in high places. To compete, with others who are in the body of Christ, is again, taking on the characteristics of the enemy. If you do anything, do it unto God, and not man. I know there are many gifted writers, and perhaps who could be more knowledgeable, in things of God, more so then I am. For one, will always find lesser, or greater persons, then themselves in this journey of life. And since, God is not a respecter of persons, why should I be? But, I know, in my heart, of hearts, Gods plan for me, is very clear. And my mission is to give glory to God, inspire His people, and speak a word of truth to the Lost. This has been defined for me, and I know it. If I reach one for Christ, even you who is reading this, then all glory to God. If I reach thousands, by Gods plan, then so be it. Again, glory to God. But I will not subject myself, to lower my standards, of who I am in Christ, for petty self-satisfaction in competitiveness. There is no one, I wish to compete with, or challenge, or fight, to get to a place, to be successful. If any blessing came in, it would be because of who God is in me. I would not be so prideful, to think it was my accomplishment, but only as to who God is in me. You see, and I know, this does not sound very gracious to myself, but I know, what a loser I was. But I know who I am in Christ now. And I am victorious in Him. To compete with someone, purposely, would mean, I would get out of my place of peace with God. It could even cause me to lose my gifts and callings. It would cause me to lose my focus on who God is in me. For I would look at someone else, and see their gifts, etc. And would cause me to either lower, or try to out reach them. For what? No thank you…. 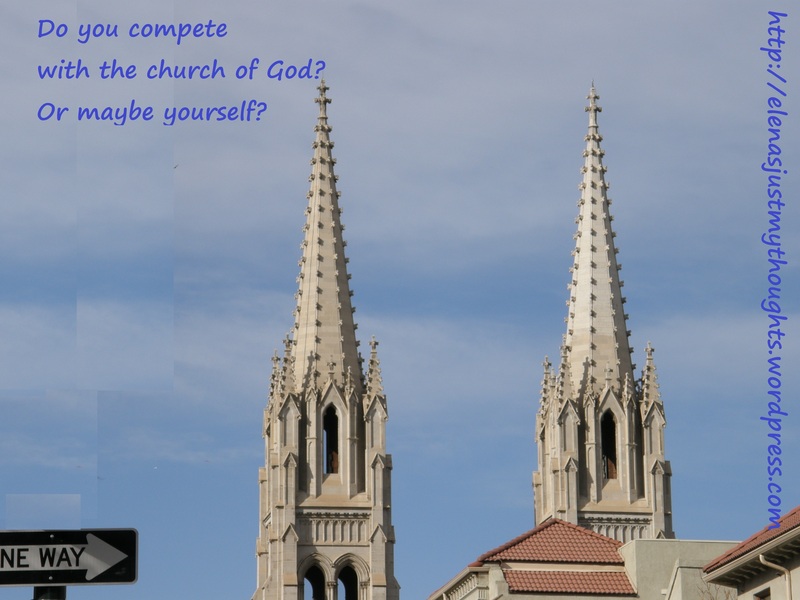 So, no, I do not believe Christians should compete with one another. If you are worried about me, don’t. God has it all under control. And I take my goals, aspirations, and hopes and dreams to His throne. To bless him. And He is the only, one, I hope to please. And as I close, I want to make it perfectly clear, because I have no idea what the future may hold. But, if I would be in a situation, where other Christian writers, would be running the race, for the prize, as I would, in a competition, I would pray, I would carry myself in love. To have a good attitude, to be gracious. To pray, whether or not to be in the race….Because I do not want to give place to darkness. But if I was in a race….And whether, I won, or lost, I would pray not to have a bad attitude, or be upset, or carry myself, in a way, that took, the glory, from God, or that person. I don’t want to be that kind of person, who its all about “me” So, I will just pray to be humble, in the sight of God, and man, concerning all victories, and losses, in Christ. And a question to ask…..Do you compete with yourself? Being tossed to and fro? I pray, not to. I pray, not to be my own worst enemy. I am one in Christ, and there is no room for competition, in my self. Christ rules. But none of these things move me, neither count I my life dear unto myself, so that I might finish my course with joy, and the ministry, which I have received of the Lord Jesus, to testify, the gospel of the grace of God. Yesterday, Palm Sunday, I took time, with my husband to see the movie, on TBN (Trinity Broadcasting Network). Directed and produced, by Mel Gibson, The Passion of Christ. This is about my third viewing of it. Jim Caviezel, plays Jesus Christ. And wow, what an anointing, he had to play such a poignant part. I could see Christ, in him….and from my understanding, he had prayed that people would see Christ in him, and it did come through. For it touched ones heart. And even though, I enjoy the movie, I have had my own personal vision of Christ’s crucifixion. And, I thank God for revealing it to me in a personal way. For it compelled me in the spirit, to want to live right. In the sight, of Almighty God. In any event, every time, I have seen it, I am moved with tears. I am moved with emotion, and compassion, and yes such a great understanding, of what Christ did for us. Great was his sacrifice. To not see that, totally, and to not give all that I can, is a waste of life…. My life. Yet, we can hold ourselves back. Or we can miss meeting our potential. We can even miss Salvation, a gift from God, because we are ignorant, or disobedient. And what a travesty that would be. Unless someone opens their eyes. Maybe thats why I write this, because the passion of Christ, compels me. And I am learning, by stepping out. By getting out of my comfort zone. By being bold. By speaking a word, and silencing the devil, when I hear his ugly voice. By learning, how, daily to submit to God. I am learning. And I have made so many mistakes. But, I do not, I refuse, to give up on God. No matter what happens. I am determined, to live for Christ, because He died for me, and showed me, that he on that third day, had the keys from hell. So, I could live abundantly. To show me, I did not have to be a part of the curse, because He took the curse for me. Thats why when I see, the Passion of Christ. I am compelled. Great was his sacrifice. And I never want to take it for granted. I know, that His love, is so great, He was obedient, denied himself, and went to the cross for each one of us. Gods love was so great, he sent Christ for us. John 3:16. That if we just believe, we will be saved. We will not perish. Yet, I know, in that human state, that He was in, He felt, all the things, that you and I do. Physically, and spiritually, for I believe, He was also afraid, and that was evident, when He prayed in the garden, and He said. Lord, if it be your will, remove this burden from me. Matthew 26:39 And He went a little farther, and fell on his face, and prayed saying, Oh my Father if it be possible, let this cup pass from me: nevertheless, not as I will, but as thou wilt. King James. Christ, understands us. More then anyone. He knows what we are faced with, challenged with…. He understands, what it is like to be tempted. For the devil, tried to tempt him. But Christ knew the power of the word, and He said, “It is written!” Gods word is written, and there is power in the word. It is alive. And every promise, from God, is there, if we just reach to that word, take it, claim it, meditate on it, share it, speak it, and use it, to defend ourselves. From a devil, who wants to always tempt us. Matthew 4:10-11 Then saith Jesus unto him, Get thee hence, satan: for it is written, thou shalt worship, the Lord thy God, and Him only shalt thou serve. Then the devil leaveth him, and behold, angels came and ministered unto him. King James. So, knowing what Christ did compels me even more, to know what Gods word says. It is the final word. I do not question it, nor do I debate it, or challenge it. Or reason about it. I understand, Gods ways, are not my ways. And that settles it in my heart. Christ could have avoided his own crucifixion, But He loved us, and that is settled in my heart. He knew, and I know, because of his Love, that He is the Messiah. He knew, he had to obey, and fulfill the call of God, for great is the love of God. And even as they took him out of the garden, He reasoned this. 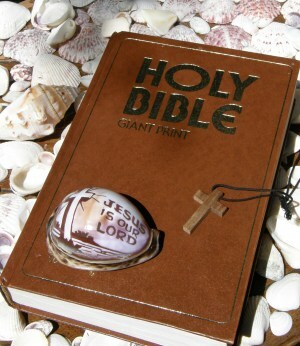 Matthew 26:54 But how then shall the scriptures be fulfilled, that thus it must be? King James. It was prophesied in the Old Testament, of Isaiah, that by Christs stripes we are healed. Isaiah 53:5. King James. How many countless times, have I meditated on that word, knowing, Christ has healed me. Physically, but yes more then anything spiritually. Cleansing me of sins, generational, and even my own disobedience. Sin is not worth losing, my place with God. And when you see in the spirit, the great cost of Jesus’s sacrifice. Sin should be an abomination to you as well. You should abhor it in your spirit. Never taking that sacrifice for granted. Never treating your Salvation, shabby, or using it, to sin. Thinking, your covered, when all you really are doing is using your salvation, to commit sin. Thinking, its o.k to sin. I am covered. That is just an abuse of a gift from God. And I feel compelled to write this. Because, I see so many people, just saying they are saved, but they really do not express, or give testimony, to bear fruit, of the mercy of Christ in their lives. Neither cold, nor hot, God will spit us out. Revelation 3:15. Read it from a King James. Is that what we want God to see in us? I pray God does not see that in me. But, I know, that I know, according to the word of God, that things are changing in the spirit realm. And prophesy, will be fulfilled. Christ, will return. And are we ready? Truly ready? Are we doing, all that we can for Christ. Knowing how his great sacrifice was? Are we hiding our lights, under a bushel? 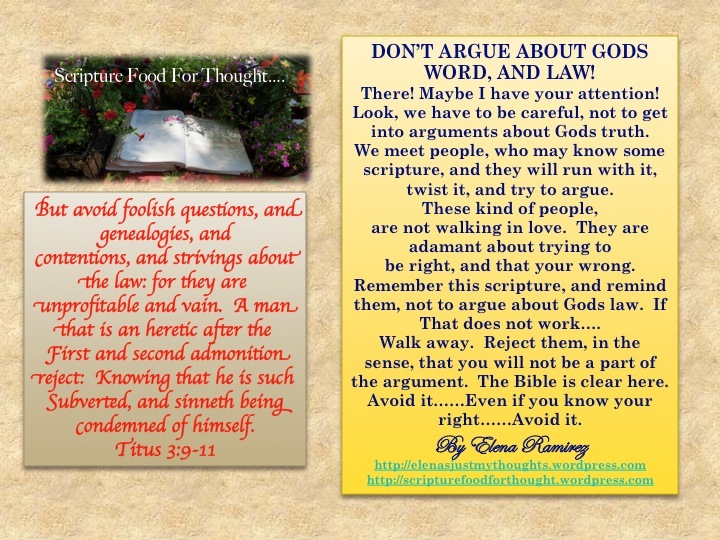 Are we witholding truth from ourselves, because we are too lazy, to open the word of God? And asking God for understanding, to know what His word means? There are many mysteries to God, but he set it up, that we would seek him. That we would call on His name, that we would learn principles, to live a better life. For ourselves, and for others. To be blessed, so we can be a blessing. The Passion of Christ compels me. To reach out, even in my writing, but to be an extension of love. To obey God. To do all I can for His Kingdom, so others can know, the truth, that really sets one free. But then to grow. To be renewed in the mind. So that yes, you receive your salvation. But then you continue on that journey knowing, what Christ did for you, but knowing, he did it, so you could reach your potential. By the word of God. 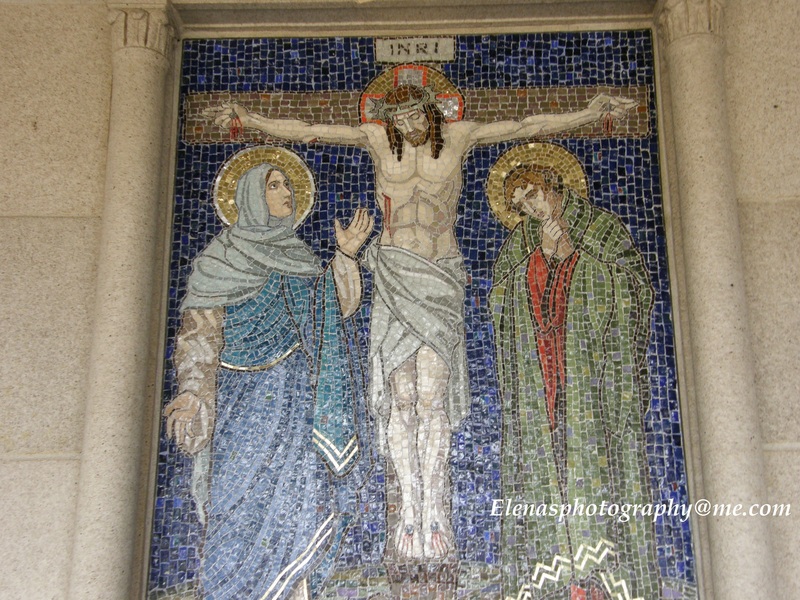 Dear ones, does not the passion of Christ compel you as well? It is time, to grow, out of our baby ways, and grow to be the army of God, the people of God, the teachers of God, the inspiration of God, that He has called us all to be. Each one of us has a gift, whatever it may be. Please, for the sake of Christ, and His sacrifice. Be moved, with compassion, as He was, and be compelled. For the Passion of Christ. Today, is the day of Salvation. Be a light, be a testimony, be bold. Be with God, with your armor on. Quenching the fiery darts of the enemy. Ephesians 6:11 Read it from a King James. And let the Passion of Christ compel you.